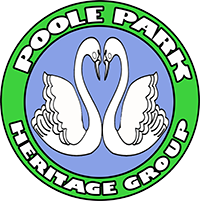 This project is organised jointly by the Poole Park Life lottery bid and us, the Poole Park Heritage Group (PPHG). We are a group of local people who have been involved in supporting Poole Park in various ways for several years, especially last year when Heritage Lottery Bid volunteers played a large part in securing the success in Round 1 of the £2.7 million Heritage Lottery Funding Bid for Poole Park. But before the full amount is awarded, there is still £50,000 to be generated from fundraising projects such as this to demonstrate local support for the Bid. We all have two more years of hard work ahead of us and PPHG have realised the need to step up a gear if we are to give all the support that we can to this wonderful opportunity. We are now a Charity named “Poole Park Heritage Group” and we will be giving our full support by being fully involved in information gathering, public consultation exercises and, of course, the very necessary fundraising needed if we are to help fulfil the part the people of Poole need to play in securing this much needed lottery funding. We hope we can count on you to help us. All profits from this project will be spent in the park but, better than that, the Heritage Lottery Fund will match fund donations tenfold, so your £5 becomes £50.